Camp One Step by Children’s Oncology Services, has earned their top 4-Star rating! Charity Navigator is the nation’s largest and most-utilized evaluator for charities. Through the years we have worked very hard to achieve their highest rating, and we are excited to share this honor with our community. Here is an excerpt from a letter we received from Charity Navigator regarding our achievement. “We are proud to announce that your organization has earned a 4-star rating. This is our highest possible rating and indicates that your organization adheres to sector best practices and executes its mission in a financially efficient way. Attaining a 4-star rating verifies that Children’s Oncology Services exceeds industry standards and outperforms most charities in your area of work. 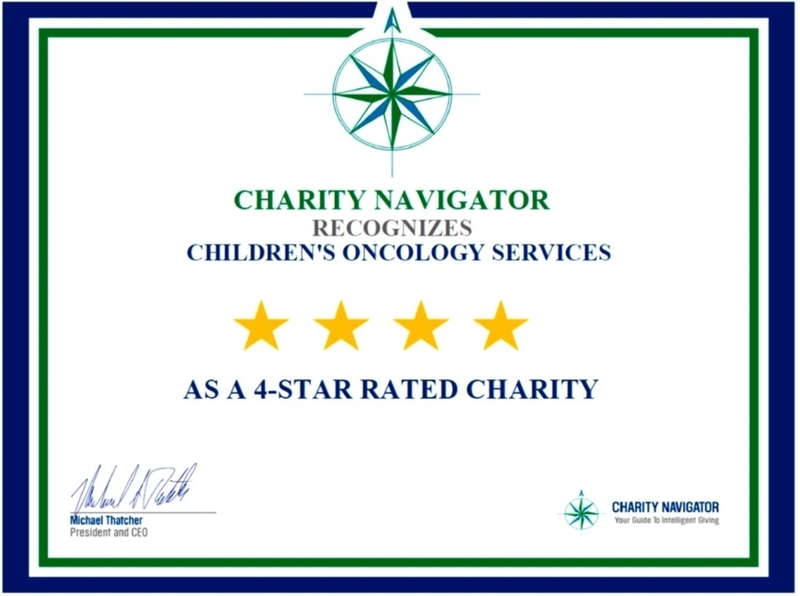 This exceptional designation from Charity Navigator sets Children’s Oncology Services apart from its peers and demonstrates to the public its trustworthiness.